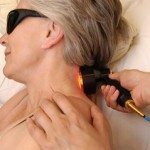 Laser Therapy improves tissue repair, reduces pain and inflammation by the application of red and near infra-red light over injuries or lesions. First developed in 1967, it is now commonly referred to as LLLT, Laser Therapy or photobiomodulation therapy. 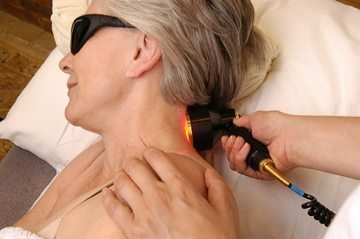 Laser therapy has been used for many years on sports injuries, arthritic joints, neuropathic pain syndromes, back and neck pain. Over 300 randomised clinical trials have been published on LLLT, half of which are on pain. 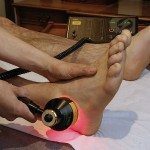 Treatments with Laser Therapy take up to 10 minutes typically and may be applied two or more times a week in acute situations or weekly in less acute conditions alongside conventional osteopathic treatment in strains, sprains, inflammation and chronic pain. 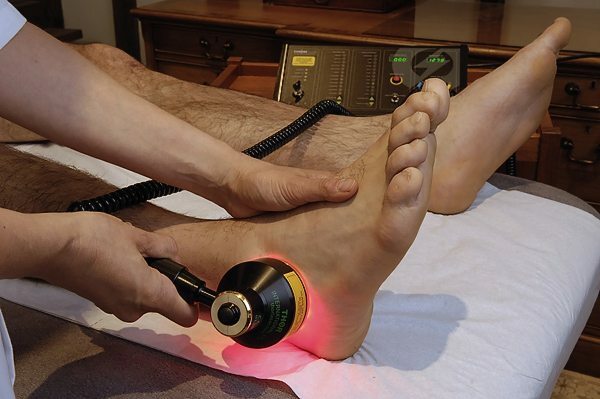 At Amersham Osteopathic Clinic, laser therapy is used to help speed up healing / repair and reduce the need for anti-inflammatories which slow down the tissue repair process. Other therapists using laser therapy include the British and US military, Premier Division soccer teams, Olympic teams, Formula 1, rugby and cricket team therapists as well as specialist pain clinics, physiotherapists, osteopaths and chiropractors in the UK and USA. LLLT is popularly used for soft tissue injuries, joint conditions, neuropathic pain, non-healing leg and pressure ulcers. The intensity of LLLT lasers and LED’s is not high, like a surgical laser. There is no direct heating effect.